There is much written on the subject – some good and some, well…. At DT Bait Developments, we weren’t content until we had stripped it all back to understand the fundamentals – because only then could we formulate bait which led the field in Carp attraction and catching. Carp have been recognised as one of the most intelligent fish, since the the time of Izaak Walton in the 17th century where he dubbed it the ‘wiliest of fish’. Of all the senses, the carp’s most acute is its smell. 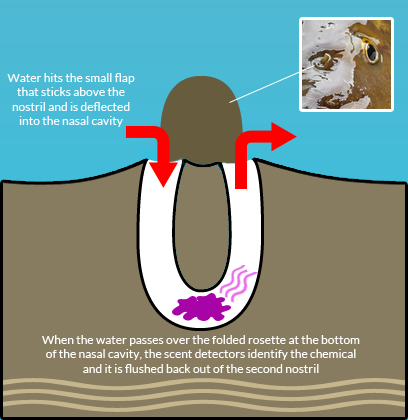 Its vision is good, but plays second to the ability to trace molecules of scent suspended in the water – at rates of only a few molecules per million - and in any case its vision is often hampered in unclear water. The carp’s feeding is driven by instinctual capabilities, which, although not ‘thoughtful’ in the human sense of the word, are none the less highly competent ways of seeking out nutrition which will benefit it. The ‘knowledge’ is accumulated in millions of years of coding in the carp’s DNA - it actually senses what is better nutrition and can discern this through chemo-receptors – at the base of a ‘u-bend’ channel in the snout. There, a ‘rosette’ of chemo-receptor cells - up to half a million in a square millimetre -can detect not only the aroma but the nutritional quality and therefore contribution of food. Carp have many more receptor cells than most other fish, and pass information back to the instinctual part of the brain, which assesses it against its ‘database’ built up in the DNA of the fish since time immemorial. How does this impact on bait? 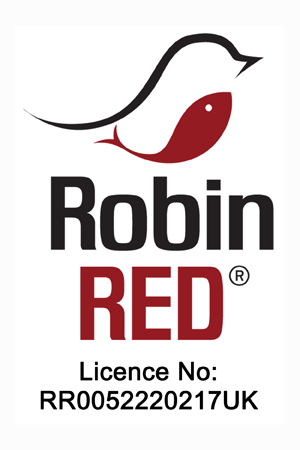 Carp know what’s good for them, and make their selection accordingly, preferring relevance and quality of nutrition over poorer quality food stuffs. If there is anything unnatural, the carp will sense it. 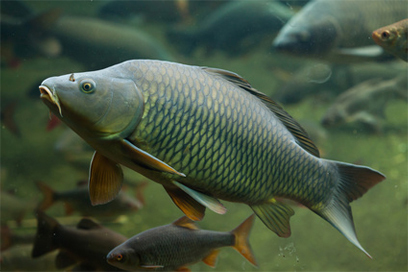 If the bait smells attractive, but has little innate nutritional value, the carp will pass over it in favour of a bait which does – and in lakes which have reasonable to high fishing pressure and lots of available food, the carp is inclined to be highly selective in what it does and doesn’t choose. High nutritional content will win every time. This allied to its natural wariness as a species, means that bait has to be both a powerful attractant to get past first base and come to the attention of the fish. Then it has to match up to a nutritional screening to be chosen over other available bait. It is often felt that fish become ‘habituated’ to a certain bait within lakes - choosing them as though by habit because they have been ‘ok’ on past experiences. There is some truth in this. However, many tests have shown that the nutritional quality of the bait can cause Carp to switch preferences - and so if the angler uses a higher nutritional quality bait, he is in many senses deploying an unfair advantage.